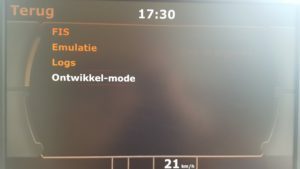 Dit onderwerp bevat 88 reacties, heeft 12 stemmen, en is het laatst gewijzigd door moddingmaster 3 weken, 1 dag geleden. 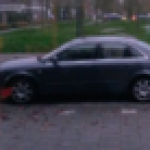 Jeroen did you find some time to investigate logs from my car? 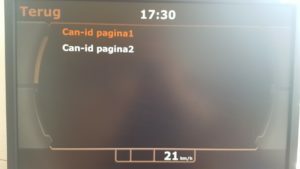 How can I fix CAN issues? I did make some changes to the function which determines car model / year based on can message (and prints it on settings page). This is what caused some issues in the previous (test) version. I’ll try to package this version this week. 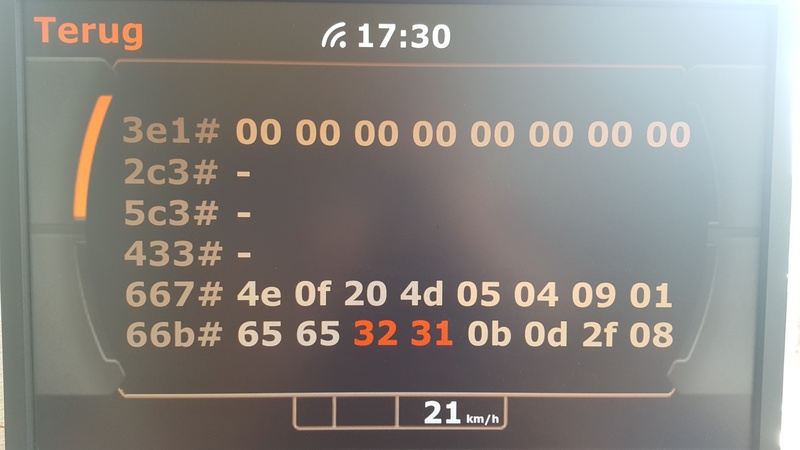 It should now send FIS messages to the ID which is also is used by your carkit. Probably not solving all issues, but should provide some new details in the log. Did i have to change something in the new coolant file? I got your latest can-dump, thanks for that! 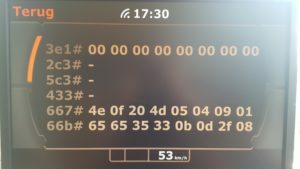 I’ve read you disconnect can-bus from your Raspberry because of the FIS flickering. Actually in the latest Version (44) the script will listen to can-id 65F, which carries your Audi’s model and year. So it says ‘8P5’ year of build ‘2013’. This would make the script write FIS messages to 667 and 66B (like your carkit does). If you disconnect the raspberry from the bus, it would not ‘hear’ the 65F message and picks it’s defaults (265 / 267). I picked 2×6 Id’s which seem to be used a lot in your dumps. These I’d wil show up ‘live’ as soon as they are received. Now the first received messages will be printed in the more grey color. As soon as a message is received on the same Id, with different bytes, those bytes will turn red. Of course, this will only work with connected can-bus. What about development, i put CAN module into only HEARING mode so I can manipulate in interface using RNS-E buttons. 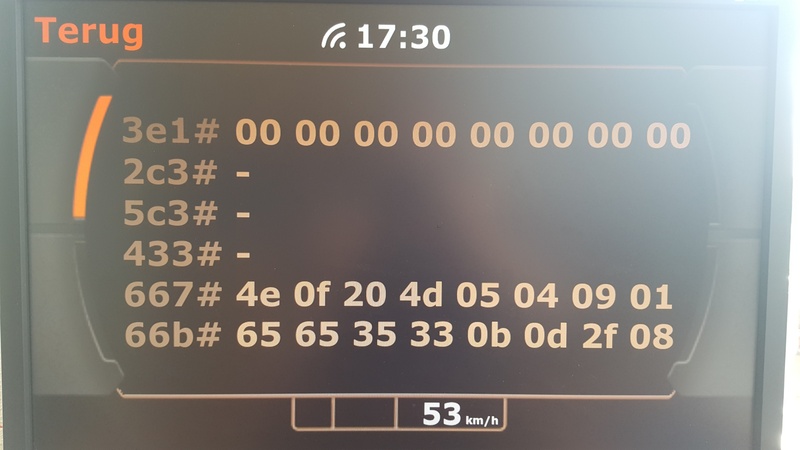 In only hear mode there is no flickering on FIS so I can use my radio normally and obviuosly don’t see any car parameters on radio. Unfortunatelly on your development screen nothing appears, there are only one 00 pack. I actually had to reassamble the hardware and install Raspbian! But it’s all up and running again! Now I’m afraid with all the restoring backups of my website I lost your logs 🙁 Do you still have a copy of one of your logs? If you may need another log, I can make them for you this weekend. I heard about CAN scanners, maybe I should scan my car’s CAN? 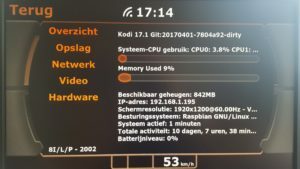 If I install RNS_FULL V 0.0.44 for Kodi 17 do I also need to install script.service.JanssuuhRnseBediening and script.service.JanssuuhSendCanToFIS? Did anyone tried to modify the code for MMI 2G or 3G? The GUI wouldn’t be the problem, but I assume canid’s and values will differ from the RNS-e.
Also I recorded the can-id pages while running your log/messages. Will post / share this tommorow. I uploaded a new version of the skin (0.0.45) which should be more stable if something unexpected happens. Also if an error occurs it’ll be logged to a (new) ‘error log’ window (you can find this at ‘Settings’ / ‘Configure Audi Rns’ / ‘development mode’). The raspberry with its can-module is a kind of a can scanner / logger. 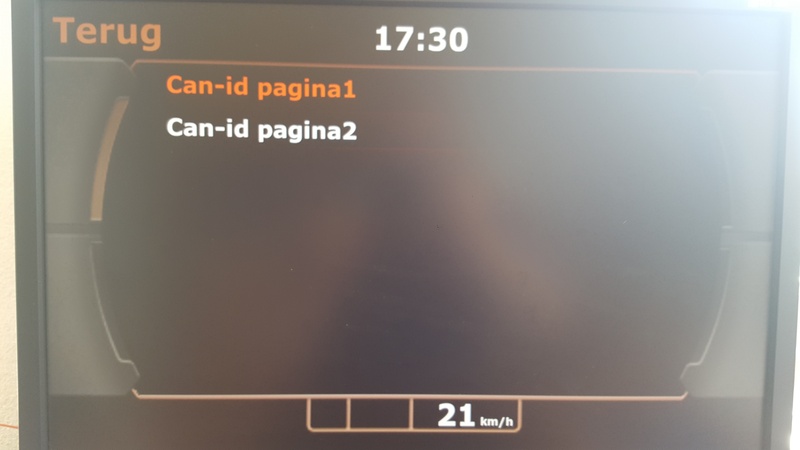 If you’d connect it to your car and in terminal you type: [candump can0 -a] it will print all traffic (with -a as parameter for ascii values). I hope with the errorlog page we’ll find out what is going on! If you use Full version, you must not install script.service.JanssuuhRnseBediening and script.service.JanssuuhSendCanToFIS! Did you updated XML files related to that screens on that update? May it happen that some script is not running? Honestly i changed only python files, without replacing all skin files, should I? I was experiencing that kind of problem, and it was because of the hardpython script. As for the hardpython script, you have to download the zip file from this fórum, in the Python can topic. 1) Then unzip it and rename the folder to “hardbyte-python”. Another thing is, don’t install retro pie script and follow the tutorial is this site. 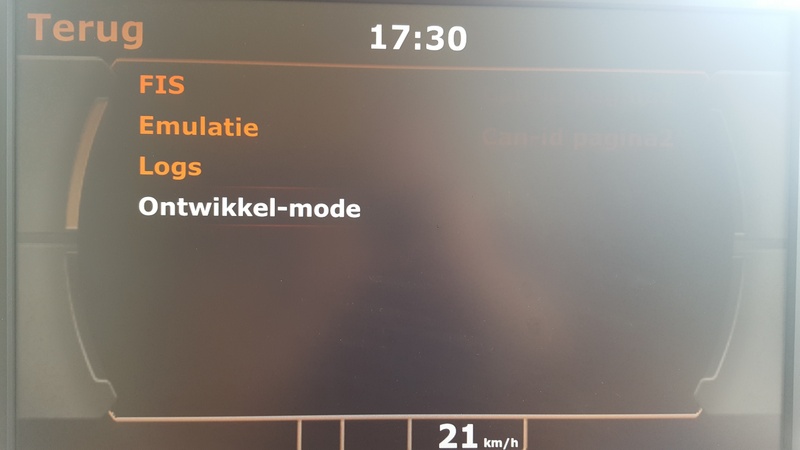 At the moment in my A4 B6, all is working except for the water values, withe the car off shows 0ºC, but as i start the car it shows 150ºC and goes up and up. Jeroen, if you see any mistake in this post, please say so. 2: First execute Factor and then the Amount. Now the hex value your car produces is factored by 0.8 and after that 48.2 is substracted. The default -32 is probably because 0 degrees celcius = 32 degrees fahrenheit. If your engine is of, it might send 0 degrees fahrenheid, which results in your -17 degrees celcius. I’ll try to test it at weekend. I hope I’ll find some time… I followed your guide with lite version at the very beggining and later on updated into full version. So definitely what you said is my problem now. Do you advice me to reinstall whole solution? 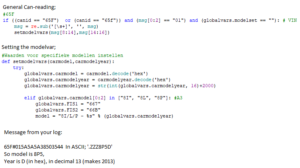 Or modyfications in scripts will sole my issue now?